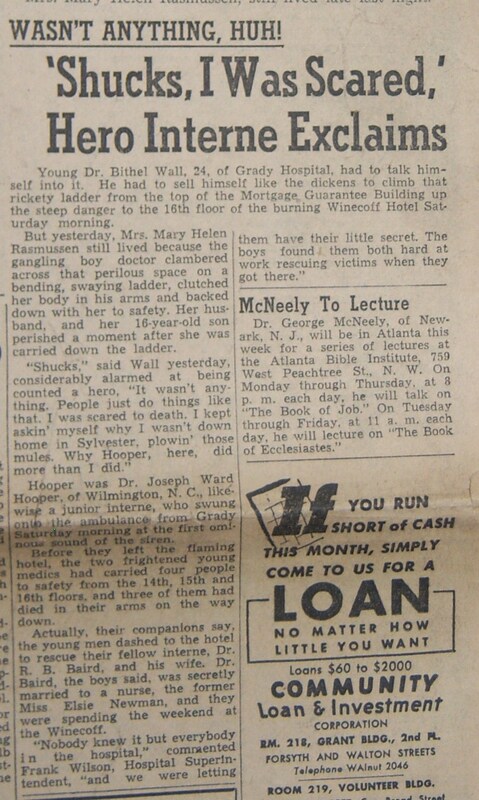 Two Grady Memorial Hospital doctors dug deep for courage as they joined the dangerous rescue efforts along the Winecoff Hotel's back side. 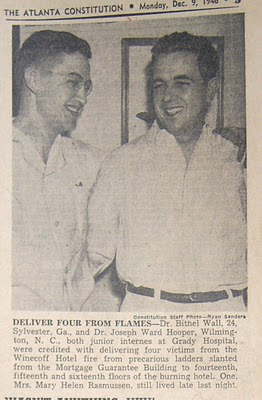 Doctors Bithel Wall and Joseph Hooper were pictured in this Atlanta Constitution article published two days after the fire. 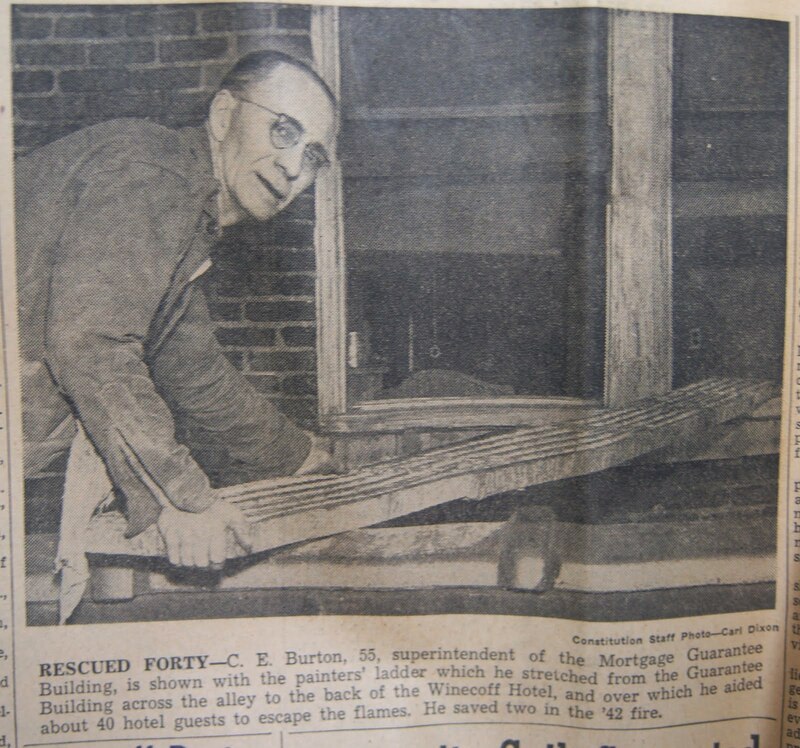 Ladder rescues across the smoky alleyway were treacherous undertakings for these two interns and others like C. E. Burton (photo) who assisted dozens to safety. The interns' story is told beginning on page 113 of The Winecoff Fire.